When it comes to growth business, Michael Vassallo knows a thing or two. His entire 19 year career has been dedicated to working with private and listed companies and since 2014, Michael has been a senior investment executive on SME investment funds in the region, where he has led on more than £10 million of funding. Michael has recognised that as well as the natural attractions of the region, some of the county’s most dynamic young businesses are developing exciting new ideas and products. This innovation is evident by the fact that the North-East is now the fastest growing region outside London for tech-focused start-ups and the leading region for engineering start-ups; the North East is clearly a hive of activity. Some of those same ambitious small businesses are often still struggling to access the growth finance and strategic support they need to take their products and services to the next level. It’s clear that the small business sector in the North-East could do with better access to growth finance and support, which has in the past not been central government’s main focus. This imbalance of resources has meant that Northern England’s cities and towns have previously been left with little support, despite its rich industrial heritage. Although increased lending by banks has helped to improve the situation this does not provide small businesses with the flexible support they need while they are growing. Michael is helping to support entrepreneurs to get their businesses off the ground through Maven-managed, government-backed regional funds such as The Finance Durham Fund which offers between £200,000 and £2m to support the growth of business across the County Durham. As well as access to funding, Michael has also been providing local companies with proactive, strategic business support. Maven’s strong regional presence with offices in Newcastle and Durham means that Michael and his investment team is on hand to help guide business development, provide support on strategic decisions as well as help navigate complex fundraising options. What was your first job and how much did you get paid? I joined Ernst & Young straight from Oxford on a training contract to qualify as a chartered accountant and I was paid £13,000 in my first year. What is the worst job you've had? Cleaning out a pigeon loft for £5 pocket money. Most expensive thing you've bought - other than car or house - and how much? As a single ongoing problem, satisfying my idea that the right equipment will make me a better golfer. Cost, too much or not enough depending on how you look at it. Who is the best person to follow on Twitter and why? I’m not an expert on twitter but I would recommend @Maven_NorthEast. 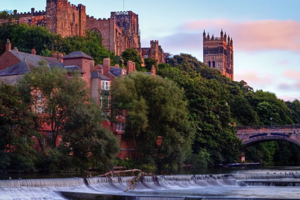 Establishing the Maven offices in Durham and Newcastle and investing in a number of great businesses in the North East. The region is home to some outstanding entrepreneurs and it is a privilege to work alongside them and drive returns for our investors. What's the best piece of advice in business you've ever been given? There are two pieces I’ve been given. The first – under promise and over deliver, from my old boss at Brewin Dolphin. And from my father, always trust your gut. To read the full article please visit the Northern Echo website.